Happy Sunday everyone, one of my favourite days of the week. These days are all about lazing around in bed until way past 12, eating whatever you want and attempting to get things done on the Sunday to do list that everyone seems to have but never actually completes. Seeing as today is meant to be a relaxed day, I thought I would do a relaxed beauty post, all about how to achieve silky smooth legs. Shaving to me is about so much more than just something you need or want to do, it is something that makes me feel to clean an healthy, as well as content with myself. I don’t shave for anyone else, I only do it for me. I guess that’s why I feel so relaxed afterwards! I thought I would talk you through my step by step process, seeing as my legs do seem to feel extremely soft whenever I do this! To begin with, make sure that you are using good quality razors that are made to protect your skin. They may be a little more expensive, but I think that this is something necessary if you are wanting to shave healthily. My favourite ones are from Gillette, and I have been using them for years with no problems at all. They are disposable, so I try to make sure that I use a new one about every four days. They can very easily get dirty, which is so bad for your skin, especially in sensitive areas such as under arms. 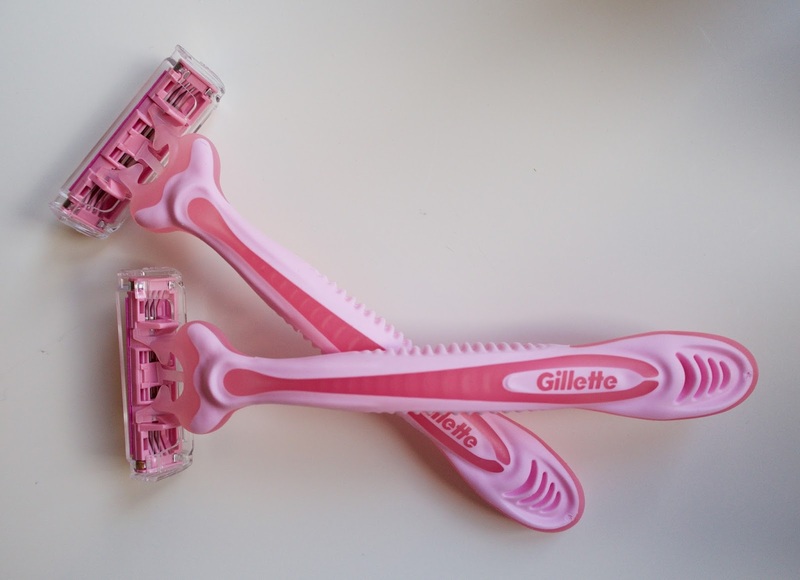 And of course, these razors are a must seeing as they come in pink 😉 … I can be such a princess sometimes! I always shave my legs either when I am having a nice bath, or a proper shower (hair wash etc). As soon as I get into the bath or shower, I use a body scrub all over my legs to remove all dead skin cells. This also helps to nourish the skin, and protect it from the razor blades. The body scrub just keeps the softness for longer. I am a huge fan of body scrubs, but only really ever use them in dry skin prone areas, such as my hips arms and feet. I forget that really I should scrub everywhere at least once a week. I have noticed a big difference in a few weeks since doing this with my legs. 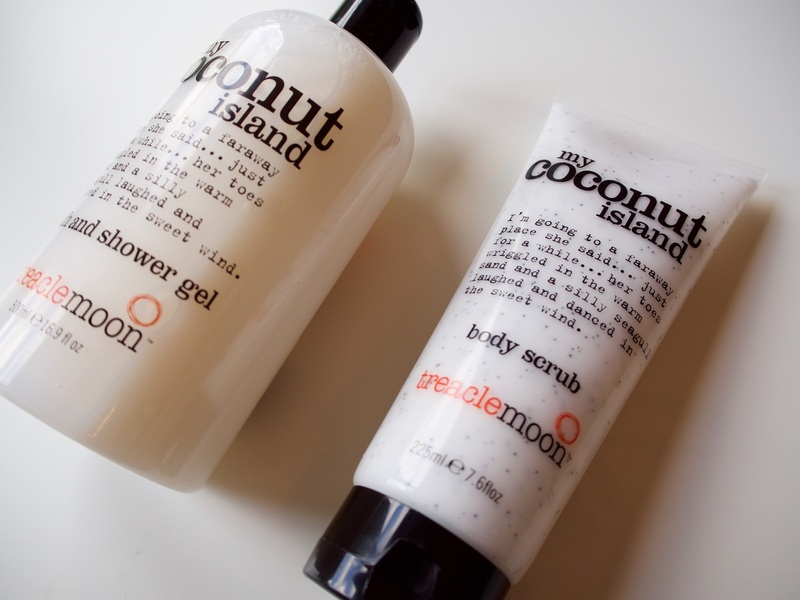 My favourite body scrub of the moment has to be ‘My Coconut Island’ from Treaclemoon. It is so rich and hydrating, and the smell is just to die for. It is slightly concerning, the amount of body scrub that I seem to get through! I really will never understand how some people can shave without using soap or shower gel… it completely baffles me. To me using a really good shower gel massively helps the shaving process. I use a good amount on each leg, and rub in properly before shaving. At the moment I am using the Treaclemoon shower gel to match the body scrub. I just can’t get over how beautiful the scent is. Then, when it comes to using the razor, every time I go up my leg, I then go back down where I just went. This ensures that no hairs growing in the other direction have escaped. Also making sure afterwards that you have properly done around your ankles and your knees. There is nothing worse than getting out of the shower, and finding a single hair that you haven’t removed! This has completely changed my shaving routine and has made my skin feel so much healthier. Overtime immediately after shaving, my legs would feel a little dry. This has solved that, as I apply it straight away. I simply rub in like a normal moisturiser, and rinse with warm water. I don’t just do this when shaving, I also do it everyday to maintain the soft skin. 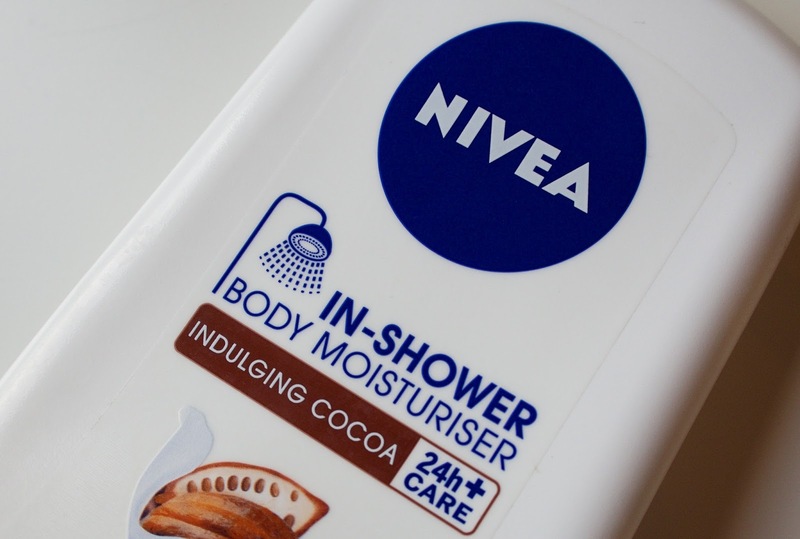 My favourite to use is the Nivea Indulging Cocoa, as the smell is just divine. 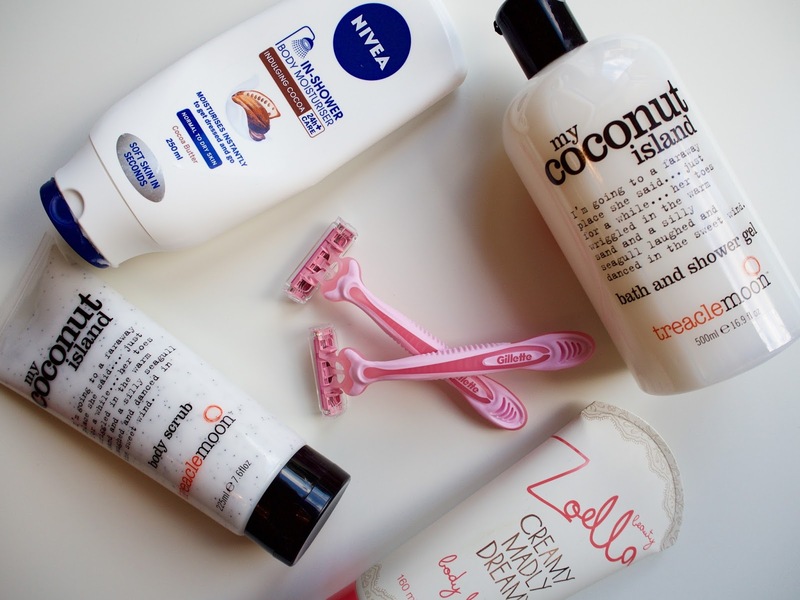 It isn’t a massive secret that you need to moisturise after shaving your legs. However, my main tip is just to use a really thick and rich moisturiser that genuinely does hydrate your skin. Some moisturisers I have used have just made my legs feel dry again within five minutes. A big yes for me at the moment is the ‘Creamy Madly Dreamy’ body lotion from Zoella Beauty. I am a big fan of her products, and this one is definitely up there in my top three. It feels so soft and light on my skin, as well as making my legs feel completely indulged. Applying every night will also help to keep silky smooth legs for longer. Now all you have to do is make sure that you’re either wearing PJ shorts of a nightie, so you can feel the cool sheets on your soft legs when getting in to bed. This really is a magical feeling. I have not been paid to talk about any products mentioned, and all views and opinions are my own.